My firm's primary focus is on personal injury and medical malpractice and my personal injury cases include: wrongful death, traumatic brain injuries, lead paint poisoning in children, construction accidents, automobile accidents, products liability, serious New York City Police Department Excessive Use of Force, NYPD illegal searches and seizures, slip, trip, and falls in all places including sidewalks and malls, burns from fire chemical, and hot water and much more. My medical malpractice includes: birth trauma, cerebral palsy and other brain injuries in new born children, failure to diagnose cancer, unnecessary surgery, foreign objects left in patient, failure to properly treat, nursing home negligence, bed sores in the elderly, medical negligence in the administration of medication, unnecessary surgery. My cases I have dealt with in the past involved for example: medical malpractice causing wrongful death, leaving foreign objects in the patient, mistakes in surgery causing organ failure, traumatic brain injury cases, personal injury cases from falls, construction accident causing paraplegia, products liability, sidewalk falls, falls in the mall, and too many to mention in this short amount of space here. I offer a free initial consultation and do not charge. All of my rates are contingency fee, for personal injury and medical malpractice cases, meaning you owe me nothing if we lose your case for example, before a jury trial. While I cannot guarantee we will be able to settle your case before trial, the majority of cases do settle before trial. Not applicable. I work on a contingency fee basis. Monday to Friday, 10AM to 7PM and if you need a later time, call me in advance to make an appointment. I do not need an office manager, as I use per diem attorneys to help me prepare cases when necessary. I always promptly return my calls and make myself available to coincide with your schedule when necessary. I can get a Spanish language interpreter if necessary, it would only require we meet at another office in Manhattan. If you are hospitalized or bed-bound arrangements can be made to come to you in person. I work with doctors who are lawyers and we are ready to review your medical files. Here is some information that may be useful: Birth Trauma: Birth Trauma occurs during the process of childbirth and is damage to the infant child from the forces exerted on the baby from the strong muscle contractions during the birthing process. Labor and delivery can be a difficult process, and a doctor must provide reasonable care for both the mother and the child. It is a terrible tragedy when the doctor fails to provide reasonable care and the mother or infant is injured. Statistically, about 7 out of 1,000 babies born in the U.S. will suffer some form of birth related injury. Birth trauma can include damage to the brain, skull, and spinal cord from mechanical forces such as the use of forceps. Some types of birth trauma that can occur are brachial plexus palsy, head trauma, broken or fractured bones, or spinal cord damage. In particular, oxygen deprivation during birth can cause terrible, life altering problems, including mental retardation or cerebral palsy. Oxygen deprivation is sometimes caused by a doctor not timely performing a Caesarian section (C-Section) or failing to recognize signs and symptoms of a problem. If you think that your baby has suffered birth trauma, it is important to have your medical records reviewed by a competent professional so that you do not have to bear the extra medical costs of assisting your child. Injuries that occur due to birth trauma can often have significant long term consequences and may require many years of health care. These costs can be very expensive. An attorney can review your case and help you determine how much money you may be able to obtain to compensate for your child's injuries. If a doctor was responsible for your child's injuries, you should not have to pay the costs of his or her medical malpractice. At the law office of Manuel Moses, Esq., I work with doctors who are also medical malpractice lawyers, we do the cases together, and we are prepared to review your medical files for negligence. You may contact me for a free consultation at 212-736-2624, extension 11. Disclaimer: Nothing on this page constitutes formal legal advice and you are strongly urged to consult a lawyer about your injury and potential law suit. Hospital Negligence: A hospital can often be liable for damages when a patient is injured during his or her hospital stay. Any injury caused by the negligence of an employee of the hospital, including nurses, paramedics, or other hospital staff, is an injury for which the hospital is often also responsible. These employees can be the cause of many injuries, including providing the wrong medication, losing or mishandling medical histories or charts, neglect, misuse of treatment or diagnosis devices, or improper preparation. Other problems that might arise from a hospital stay include improper use of anesthesia, botched surgeries, infections, medication overdose. In these cases, the consequences can be very severe. In the case of a doctor's medical malpractice, the hospital will claim they are not always liable. This is because doctors are not necessarily employees of the hospital but rather are independent contractors. Even if it looks like a doctor works in a hospital, the hospital will often inform you either orally or in papers that you sign that this is not the case. Regardless of what a hospital or doctor may have indicated in a consent provision you signed an attorney can help you determine if a hospital might be liable for his or her medical negligence. It is important to remember that negligence is not always the cause if something goes wrong with a medically sick patient. This is why the medical records have to be reviewed by competent professionals. Medicine is a difficult practice, and sometimes hospital staff or a doctor will do all they can to help but an unforeseen injury occurs anyway. At the law office of Manuel Moses, Esq., I work with doctors who are also medical malpractice lawyers, we do the cases together, and we are prepared to review your medical files for negligence. You may contact me for a free consultation at 212-736-2624, extension 11. Disclaimer: Nothing on this page constitutes formal legal advice and you are strongly urged to consult a lawyer about your injury and potential law suit. Traumatic Brain Injury: Traumatic brain injuries occur when an external force causes injury to the brain. Such injuries can cause a host of physical, mental, psychological, or behavioral impairments, as well as permanent disabilities, seizures, or death. Traumatic brain injuries often arise from car accidents, trip and falls, construction accidents, medical malpractice, hospital negligence, concussions, or any other event that might result in a blow to the head. CDC records indicate that as many as 1.7 million people sustain a traumatic brain injury every year and that traumatic brain injuries are a contributing factor to 30% of all injury related deaths in the United States. Additionally, most traumatic brain injuries are suffered by small children, older teens, and the elderly. The consequences of a traumatic brain injury can be dire. Often, the symptoms do not take effect immediately, but rather present months or even years later. Many traumatic brain injuries require long term care and the costs associated with this care can be crippling. Most traumatic brain injuries are terrible not only for the injured person, but also for his or her friends and family, who suffer from the frequent emotional and personality changes just as much. The costs of treating these injuries, as well as the emotional costs of living day-to-day with the symptoms, should be carried by those who are responsible. It is only fair. It is therefore important to meet with a lawyer who can review your situation to determine if you and your family should fairly receive compensation for the injury. At the law office of Manuel Moses, Esq., I work with doctors who are also medical malpractice lawyers, we do the cases together, and we are prepared to review your medical files for negligence. You may contact me for a free consultation at 212-736-2624, extension 11. Disclaimer: Nothing on this page constitutes formal legal advice and you are strongly urged to consult a lawyer about your injury and potential law suit. Products Liability: A wide variety of serious injuries can result from products. A product might cause an injury due to a manufacturing defect, which means the product was produced or manufactured in a way that made it more likely to cause an injury. An injury can also be caused by a design defect, meaning the product is dangerous as designed. Finally, an injury might occur due to a failure to warn, meaning the possibility of injury is foreseeable but the maker of the product failed to warn the buyer about the potential dangers of the product. There are generally three theories used to prove a products liability lawsuit. An injured person could claim breach of warranty. Warranties are assertions made about a product, whether express or implied. In a breach of warranty case, the product might be advertised to be safe for a particular use when the product is not safe for that type of use. An injured person could also claim that the maker of a product was negligent in designing the product, in manufacturing it, or in failing to warn. To be successful in a lawsuit, a person injured by a product must show that the manufacturer's failures were the cause of the injuries. It must also be shown that the defendant's failure fell below the standard of care in the industry. An injured person may also be able to sue based on strict liability. With strict liability, the maker of a product is liable simply if a product is defective. There is no need to show that they did or did not act with a proper standard of care; only that the product is defective. This can be a good option if the facts of the case allow it, because product manufacturing can be very complex, sometimes making it difficult to prove the elements of negligence. Products liability cases can be very difficult due to the complexity of products on the market. At the law office of Manuel Moses, Esq., I can assist you in determining whether you have a valid case against a manufacturer or distributor of a product that may have injured you. You may contact me for a free consultation at 212-736-2624, extension 11. Disclaimer: Nothing on this page constitutes formal legal advice and you are strongly urged to consult a lawyer about your injury and potential law suit. Car Accident: If you were injured in a car accident in New York, there are a few things you can do to ensure you are compensated for your injuries. First, be careful what you say after the car accident. Statements you make may be used against you in the future and after the car accident you may be angry or upset and say something you will regret. Second, tell your doctor about any injury or discomfort you might have after the accident. Serious injuries are often not immediately noticeable. You want to ensure that you are not seriously injured. New York follows the law of 'Åno-fault'Â car insurance. No Fault insurance is designed to ensure that you are able to recover money for your medical bills and lost wages even if the accident was partially your fault. The law also allows you to recover money when the other driver does not have insurance. New York State Insurance Law has a serious injury threshold for personal injuries that occur during an automobile, bus or truck accident, and may prevent you from suing the other driver unless you are seriously injured. If you are seriously injured in an auto accident, you may be able to bring a personal injury claim, but only if you have an injury specifically defined by law. These injuries include death, loss of fetus, disfigurement, amputations, broken bones or fractures, loss or use of a bodily organ, and other serious injuries. A personal injury action based on these claims can be very complicated, and it is important to speak to an attorney, if you believe your injuries may be serious enough to pursue an action against the other driver outside of the normal no fault law. At the law office of Manuel Moses, Esq., I can assist you in determining what your rights are after you have been in a motor vehicle accident. Your injuries may be compensable through no fault insurance or through a personal injury action if you were severely injured. You may contact me for a free consultation at 212-736-2624, extension 11. Disclaimer: Nothing on this page constitutes formal legal advice and you are strongly urged to consult a lawyer about your injury and potential law suit. Sidewalk trip and fall: Sidewalk defects are very common. The New York Department of Transportation replaces more than 2 million square feet of sidewalk per year. In New York City, the abutting property owner generally has duty to maintain sidewalks in a reasonably safe condition. If the sidewalk abuts a one, two or three family home that is used exclusively for residential purposes and is owner occupied, the City of New York is responsible for keeping the sidewalk in good repair. This includes not only constructing a sidewalk, but repairing and repaving the sidewalk if necessary. This is a duty required by law. But before the City of New York can be held responsible for a defective sidewalk they have to have actual written notice. This written notice can be in the form of a complaint to the Department of Transportation or the homeowner being violated for the sidewalk in which case both the City of New York and the homeowner would be liable to a person injured on a defect for which they both had written notice. Homeowner responsibility may also result from the long term accumulation of snow and ice in front of their house that causes a passerby to slip and fall. Sidewalks can have many obvious or not so obvious cracks, bumps, holes, broken pieces, uneven concrete, roots, or other obstructions that may cause you to fall and become injured. Many people think it is embarrassing to be injured by a fall on a sidewalk, but that should not discourage you from holding the right people responsible. You are not at fault if a hazard exists on a sidewalk and it causes you to fall. While sometimes trips or slips and falls result in only minor bruises or scrapes, other times they can cause broken bones, concussions, or spinal injuries. These injuries are serious and can not only cost you medical expenses but also can cause you to miss work, in additional to daily pain. If you have been injured due to the failure of a landowner to repair their sidewalks, you deserve to be compensated. At the law office of Manuel Moses, Esq., I can assist you in determining what your rights are after you have fallen over a poorly maintained sidewalk. You may contact me for a free consultation at 212-736-2624, extension 11. Disclaimer: Nothing on this page constitutes formal legal advice and you are strongly urged to consult a lawyer about your injury and potential law suit. Construction Accidents: Construction sites can be dangerous areas to work. While construction related jobs makes up about 6% of the American workforce, it accounts for 20% of workplace deaths. Additionally, about 8 in 100 construction workers are injured on construction sites per year. There are many potential hazards that can cause serious injury to a construction worker. In New York, regulations exist which require the property owner at a construction site to provide functional, properly placed safety devices that are appropriate to protect the worker for the work being performed. For example, New York Labor Law requires certain safety devices to be erected to protect against injuries caused by gravity or a fall from an elevation or elevated work surface. When a worker is required to do work that exposes them to different elevations, the law demands a proper and adequate safety measure to be installed, including, but not limited to, scaffolding, ladders, ropes, hoists, or bracers or guard rails or netting. These devices must be properly placed to prevent an injury due to a fall. There are many other sources of danger on construction sites, all of which can lead to serious injury and most of which are regulated by law. Some of these dangers include machinery accidents, excavation or demolition accidents, health hazards from chemical materials such as asbestos, extreme noise, falling objects, steel beams and injuries to iron workers or broken glass or other construction material. If you were injured on a construction site there is a very real possibility that a safety device may have failed, been improperly placed, or did not even exist at all. An attorney can assist you in determining if a law or regulation was violated on a construction site where you were injured. There are thousands of regulations and it is important to seek professional assistance in protecting yourself or compensating yourself after an injury. At the law office of Manuel Moses, Esq., I can assist you in determining what your rights are if you have been injured on a construction site. You may contact me for a free consultation at 212-736-2624, extension 11. Disclaimer: Nothing on this page constitutes formal legal advice and you are strongly urged to consult a lawyer about your injury and potential law suit. Contracts: It is essential to every business relationship that the parties keep to their contracts. There are many types of contracts, but no matter the content, it will probably be vitally important for your business to protect its interests with the people and parties with whom it contracts. Although different situations may occur, in general a claim for breach of contract in New York requires the injured person or business to prove that the agreement or contract exists, that the injured party performed or was ready to perform, that the defendant breached the contract, and that real damages were sustained as a result of the breach. One of the most common forms of contract is a contract for the sale of goods. The law of these contracts is generally contained in Article 2 of the Uniform Commercial Code. The Code contains the law for many issues that arise in sales contracts, including nonconforming goods, different forms, statute of frauds, risk of loss, good faith, shipping, breach of contract, and rightful rejection of goods. The law is often complicated and it is a good idea to consult with an attorney about your rights when a contract has been breached. Additionally, breach of contract claims can often involve business and parties existing in different states. It is often necessary to bring an action in another state or in federal court using diversity jurisdiction (diversity jurisdiction means a case can be brought in federal court if the parties are from different states). If you want to sue a party that does business in another state, it is often a good idea to explore the option of suing in federal court or in their home state. An attorney can help you make this decision. On significant contract cases I have appeared in other states for my client. I am a person who does federal litigation in diversity cases whose dollar value is in excess of $75,000.00. It is important to speak to an experienced attorney to protect your business interests. In addition to handling claims in New York, Manuel Moses, Esq. has been admitted pro hoc vici (meaning temporarily admitted for the purpose of single cases) in Puerto Rico, Florida and Illinois and additionally is admitted to practice in Federal Courts of the Southern District of New York, the Eastern District of New York and the United States Court of Appeals for the Second Circuit. If you would like a free consultation, the office may be reached at 212-724-2624 x11. Disclaimer: Nothing on this page constitutes formal legal advice and you are strongly urged to consult a lawyer about your injury and potential law suit. Contingency Fees A contingency fee means that payment of legal fees is only owed upon a successful result. Under this system, an attorney will agree to represent a person without billing any hours, and afterwards will collect a percentage of the money received in the lawsuit and be reimbursed for expenses associated with the case, such as Court fees, expert fees, investigation fees, fees for copies of medical records, deposition transcripts, but with the legal fee as constituting the main method of payment for providing legal services. If the case is not successful, no fee is owed. The rules of professional conduct require the amount of a contingency fee to be reasonable. Generally, a contingency fee will be one third of what you may recover as the result of a lawsuit, either in a settlement or with a win at trial. The contingence fees lawyers can realize for medical malpractice actions are different and fixed by the law. 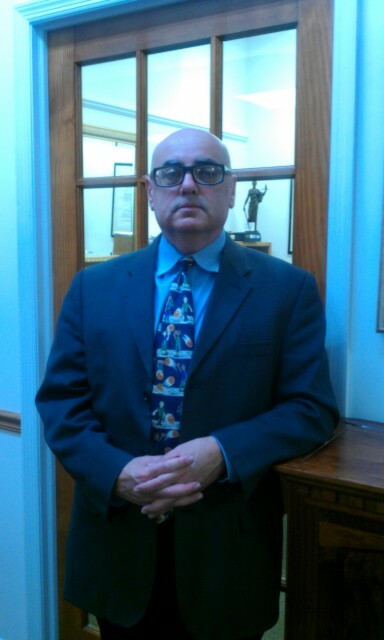 At the office of Manuel Moses, Esq., I often agree to represent personal injury victims on a contingency fee basis. If you do not win the case, you will not owe any payments for legal fees. No, a personal injury case requires an attorney to properly represent the party, and I would not recommend that an individual attempt to take this on alone, as the person would be at a distinct disadvantage. All of the work in personal injury and medical malpractice cases are done on a contingency fee basis this means that there is no fee charged unless there is an award at trial, by the Court or settlement. Expenses and disbursements properly charged to the file are deducted from the client's share. I am very open to using mediation to resolve a case and would usually encourage my clients to engage in such a process when the Defendant's are open to the process as well. It is a way to expedite the process of setting the case. And many times the mediators are former judges who have a great deal of experience in mediating personal injury cases while on the bench or understand the potential risks and rewards of going to trial, and so can properly evaluate the worth of a case, and at the same time acting as a neutral party work to bring both sides together into a mediated settlement. On occasion I have done pro bono work in the area of family law. This firm is distinguished in the following manner: I am extremely hard working for my clients, I use the best experts I can find to properly prosecute your case to a jury, I believe I have a very good writing ability, some of the best legal research tools, and can argue your case by having the insight that comes with long, prolonged, analysis and interpersonal communication with my clients. I have always been a person who has loved the library, and to read and educate myself on non-fiction facts, when it comes to educating myself on legal issues I am always taking continuing legal education courses dealing with personal injury, medical malpractice, trail practice, rules of evidence. I will review documents prepared by clients when I am representing those clients. And I will spend the time necessary to get insight into their legal issues. Insight comes from looking at a structure, long and hard, until you understand how it functions. It is the same with your case. I spend the time and energy in conversation and reviewing the documents you provide, to give myself insight in how to best represent you and just as importantly to give you insight into what are your legal rights and how to best advocate for yourself. I am not willing to coach clients who want to represent themselves in personal injury and medical malpractice, as this really requires the skill and training of a professional who is versed in pleadings, rules of evidence, experts, and trail work. My firm has been in continuous practice at this location since 2004. But I have been working in the field of personal injury since 2002. This law office maintains evening hours to fit your after work schedule. I am conveniently located near the C and E trains at the 23rd street subway stop, and my office is located on 26th Street, between 7th and 8th avenues. I have appeared in Courts all across New York City, all across Long Island, and upstate New York, and in appellate Courts of New York. I have also appeared in Federal Court in Puerto Rico, State Court in Florida, and Federal Court in Chicago.